The Preservation Trades Network Presents the 20th Annual International Preservation Trades Workshop on September 9-11 2016 in Virginia. 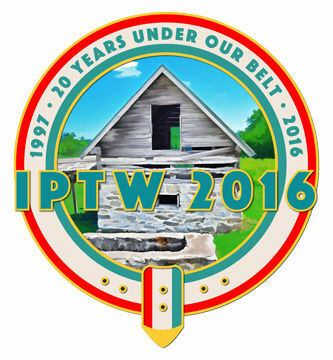 The International Preservation Trades Workshop (IPTW) has been occurring annually, since 1997, bringing together a diverse group of tradespeople, architects, preservationists, and students, all seeking unique learning and networking opportunities. Bill Gould of William Gould Architectural Preservation, LLC is a preservation design consultant and a restoration contractor with almost four decades of historic building preservation experience. He is also a founding member and a past President of the IPTW, though he hasn’t attended an event since Mobile, Alabama, in 2004. This year, however, the stars aligned. What, we asked him, was he most looking forward to at this meeting? The first thing, he said, is the connections, not just to fellow artisans in a relaxed social setting, but to one’s own trade, by associating with one’s fellow tradespeople. In the pressure of daily business, it is sometimes too easy to forget what makes the work so special and important, and meeting with one’s peers is a good way to reconnect with that. Most importantly, IPTW is a learning opportunity, a way to conserve and strengthen important technical and cultural knowledge, by sharing. This is the knowledge base that enables us to maintain that which is most important in the historic built environment. Over the years, Bill has delivered numerous presentations on topics as diverse as the scope of usage for restoration epoxies to the methods of moving buildings to how to “see” historic structures. This time, he intends not to present, but rather just to listen and to see what he can learn. Do you want to reconnect to your trade roots? To learn something valuable from an unexpected perspective? Connect to your peers? Or just say hi to Bill Gould? You can do all that by attending the 20th Annual International Preservation Trades Workshop on September 9-11 2016 in Virginia. Tell us why you are going to attend and we will blog about it. This entry was posted in Events and tagged Virginia. Bookmark the permalink.